With hotels and apartments for all budgets, Auckland Accommodation is plentiful and easy to find. From plush city centre flats and suites to harbourside penthouses, suburban motels and friendly guesthouses. Accommodation in Auckland is varied. 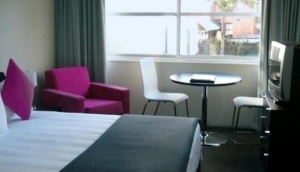 The downtown area offers funky, affordable hostels, modern serviced apartments, and of course all the major chain hotels, while suburbs like Parnell and Ponsonby are good for motels. Mount Eden has some upmarket B&Bs and the seaside village of Devonport some equally quaint guesthouses. If money is no option, splash out on a swish waterfront apartment at Viaduct Basin. to the north of Auckland, the accommodation primarily consists of motels and B&B's, most situated close to a golden sandy beach. Takapuna and Orewa offer the main choices.